To understand why recovering photos that have been deleted from your computer or camera is possible, it helps to know what happens when photos get deleted in the first place. Please note that this is a simple explanation and overview of what is a much more involved and complex process. Photos that you take with a digital camera (and increasingly, cell phones) get stored in the camera’s memory as an image file. This is usually as a .jpeg file, but can be other formats depending on the camera and its settings. Whether you transfer them to a computer, or keep them on the camera (usually on its memory card), these files are treated like any other files by the operating system that controls and manages them. In most cases this means it keeps a kind of file index of what file is located where on the disk (for a computer) or memory card (for a camera, phone or other such device). When you click to view an image file, the system checks in its index for the filename concerned (say, something like IMG10987.jpg) and the index tells it where the data for that image can be found and retrieved in order to display it. When digital photo files are deleted, the system doesn’t delete all the data for the image as these files can be quite large and that might take some time (just enough to annoy you!). So to speed things up, instead of deleting all the data, it just deletes the entry for it in the file index. 4) that free space is then available to the system for any new files to be written there instead. That last point is especially important because if, and eventually when, new files get saved into that space, it is then too late to recover your deleted pictures. So in order to recover photos that have been deleted, the image data has to be kept intact and then re-assigned to an entry in the system’s filing index. And that’s generally what photo recovery software does. By using sophisticated techniques to scan the contents of the drive, or memory card, and work out what data belongs where, it can then reconstitute the data back into image files that the system can recognise and index again. 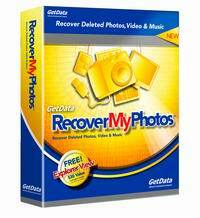 Find out more about how to recover photos that have been deleted here. The content on this site is copyright protected.